We put on our black hat while you put on your tin foil hat, as TechwareLabs visits this year’s Black Hat convention. 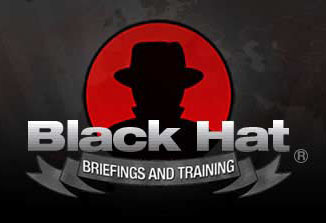 Black Hat is a yearly event which is known for providing new and exclusive insights about upcoming information security trends. It serves to inform the IT community of potential threats that will sweep the internet. This is the place where all the developers of exploits and hacks come to release their findings to the community, whether for personal gain or to inform the masses. The event consists of a series of discussions on various fields in the computing world. Unfortunately we couldn’t listen to every event so we went to the ones we felt most relevant to you the reader and decided to condense them down for your tech consumption. We present these findings with the belief that knowledge itself is not evil, but how you use it can be. We post this with intention to inform the masses about what is out in the wild so that you can protect yourself from it. Our coverage of the two conferences this year almost didn’t happen. I happened to be in Las Vegas, on vacation with family, when the events started. I noticed people walking around with their badges and immediately had the light snap on as to what was going on. I called up Jason (our head honcho) to get the go ahead to use my press credentials to try and get in. Luckily they accepted my very late registration and I was permitted entrance. Here are the results of this chance opportunity. Very much enjoyed this! Well done!